Years ago, I spoke with a young naval architect who was critical of J/Boats, because of the fact that all their boats tended to look the same. The only way to tell them apart, he said, was by counting the portlights in the cabintrunk. Fair enough: there’s no denying a strong family resemblance among the many models currently making up the company’s product line. However, this criticism completely misses the point that they are all still very different boats—not to mention, damn good looking! 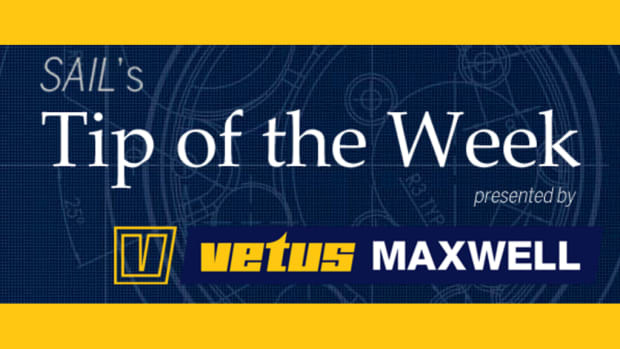 Take the case of the new J/88, which comes hard on the heels of the J/70 and J/111. 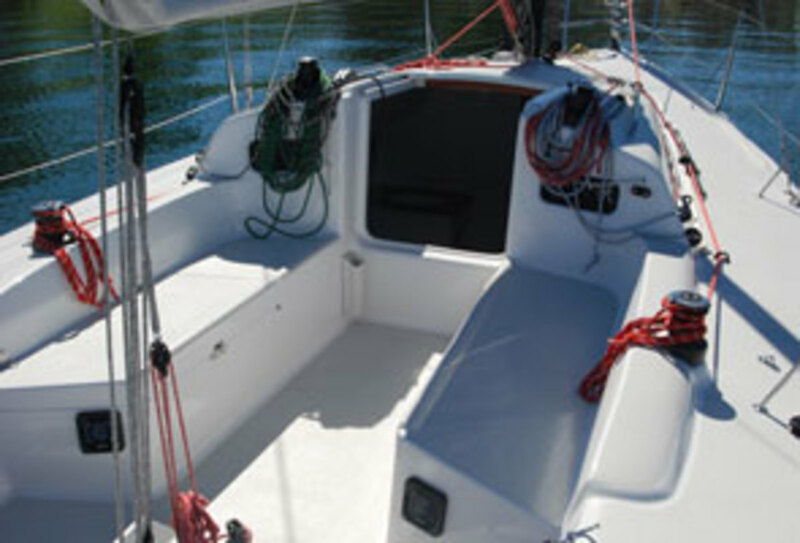 Although the newest of these three boats shares very similar lines—including a plumb, or nearly plumb stem and stern; minimal sheer; a truncated but purposeful-looking cabintrunk; a large open-transom cockpit; and, of course, a trademark J/Boats retractable sprit—the boat still has its own, distinct personality. 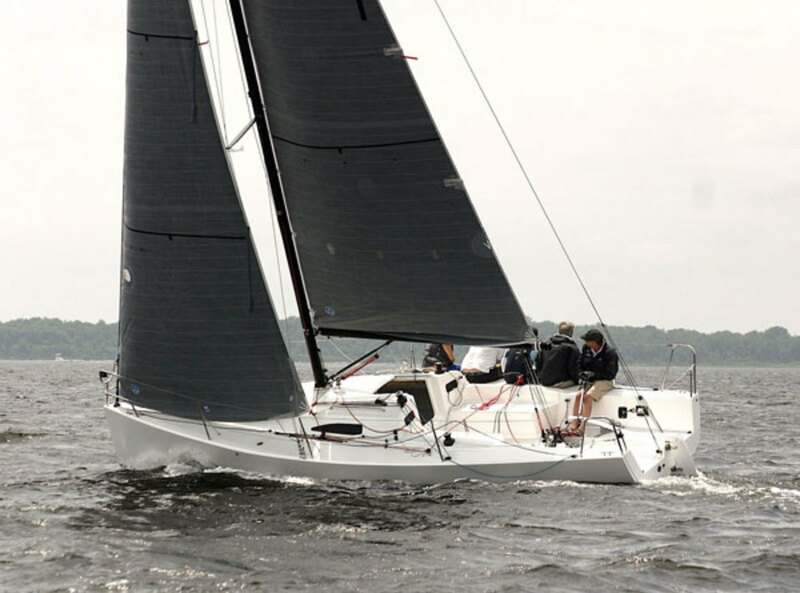 For example, whereas the J/111 is beginning to venture up into “big boat” range with its 9,300lb displacement, 36ft 6in of LOA and 663ft2 of sail, the J/88 remains refreshingly nimble with its 4,990lb displacement, 439ft2 mailsail and LOA of just over 29ft. Similarly, while the 22ft 9in J/70 is almost dinghy-like, with its lifting keel and minimal cuddy cabin, the J/88 feels dramatically more substantial, with 6ft 4in settees in the saloon, a fixed head, an inboard 14hp auxiliary, and a kind of “micro nav station” to starboard just after of the forepeak. 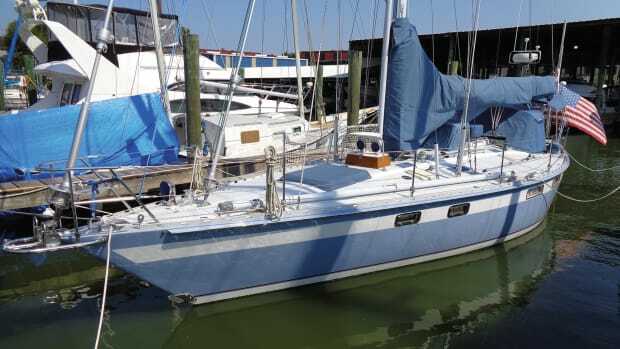 The result—like the J/29 that preceded it—is a boat that is as versatile as it fun, a seaworthy little sloop that is as comfortable muscling its way through a seaway when it’s blowing stink as it is taking the kids out for a sunny daysail. 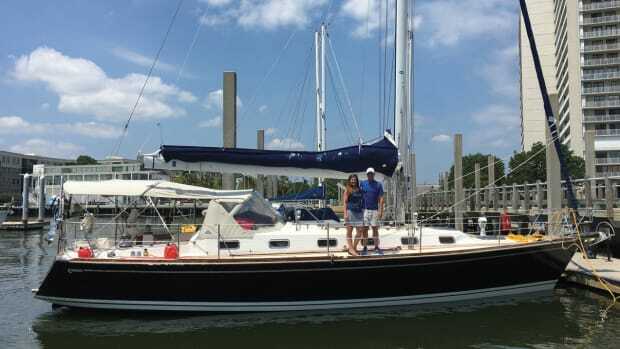 For our own sail, we had a fluky 11-knot easterly under cloudless skies out on Narragansett Bay—pretty much perfect. J/Boats&apos; Stuart Johnstone, who was along to show us the ropes, apologized for the fact that the bottom hadn’t been scrubbed for a couple of weeks, following a busy boat show in Newport. But the boat still did just fine, easily hitting 5-plus knots sailing at apparent wind angles in the high 30s and 7-plus knots on a reach (thanks in no small part to its very impressive North Sails 3Di wardrobe). Equally impressive was the way the boat handled, both when sailing a course and going through maneuvers. 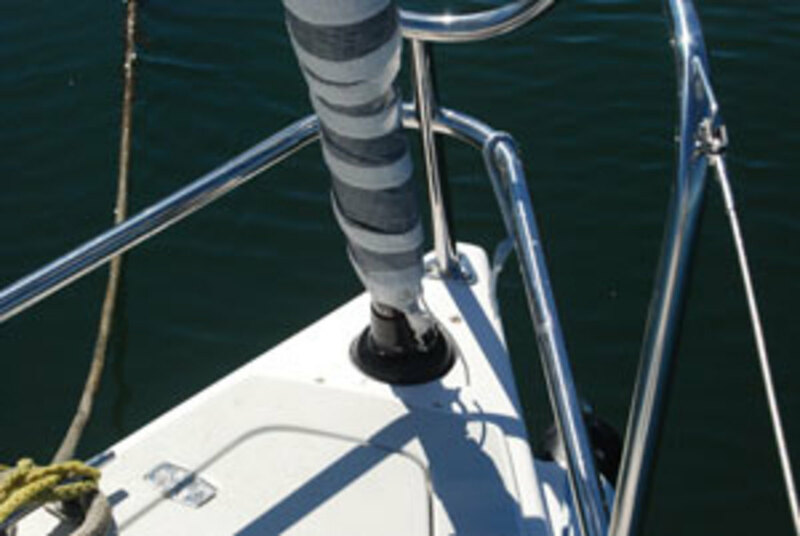 The transom-hung rudder is deep and powerful, providing a level of control that is so great you have to be a bit careful—almost like a dinghy. At the same time, that nice, deep fin and extra displacement provide an excellent sense of security, especially when you’ve got that A-sail up. Gybing back and forth in front of Fort Adams, for example, we were hit by a couple of moderate puffs that began driving down our leeward rail a bit. But the boat took it all in stride, giving me plenty of warning so I had no problem keeping her footing along at a fairly constant angle of heel. I strongly suspect the boat will prove equally forgiving, yet powerful in a blow. 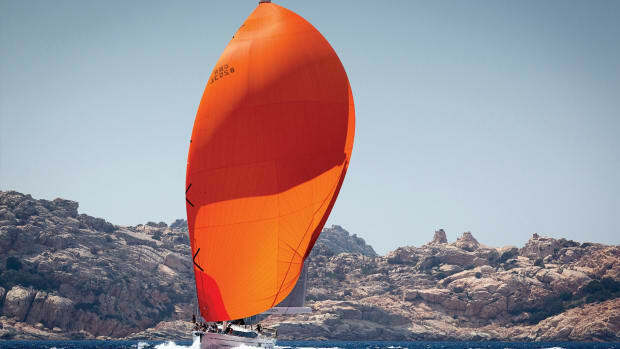 In terms of sail handling, the rig also hits the sweet spot, on the one hand providing plenty of horsepower for driving the slippery hull through the light stuff, on the other being not too big that you can’t still muscle it back under control when things get hairy. The A-sail, in particular, while enormous in relation to the boat, is still of a scale that can be handled by mere mortals without their having to be in mortal terror of the thing. 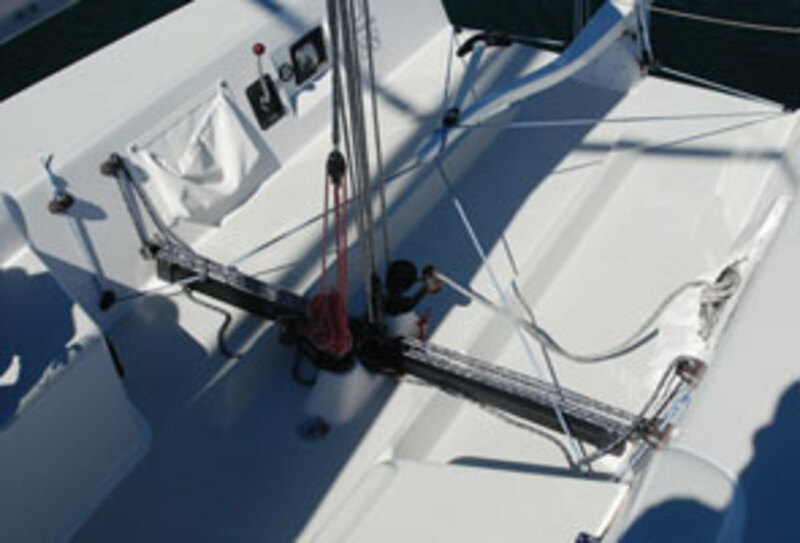 As for the cockpit and deck layout, these are vintage J/boats, complete with in-hauler rings on the cabintrunk to provide close sheeting angles for the headsail, a Harken below-deck jib furler and a vang that sheets to both port and starboard. 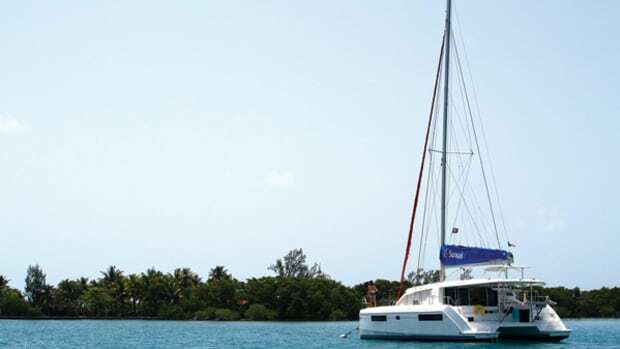 The mainsail sheets to a traveller on the cockpit sole and includes both gross and fine tunes for optimal control in a wide range of wind velocities.  According to Johnstone, the cockpit itself is essentially the same as the one on the J/111 (which was singled out for recognitions as part of SAIL magazine&apos;s 2011 Best Boats contest), only about a foot shorter. 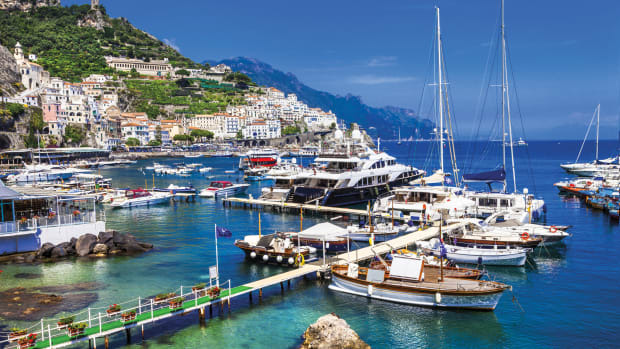 Steering is done with a tiller—there is no option for a wheel—which is exactly as it should be aboard a boat like this, in which having a good feel for the water flowing over the foils is half the fun. Finally, the build quality and overall look of the J/88 are sparse but solid. The hull and deck are both cored for lightness and rigidity, and the layup appears both neat and tidy, even in those nooks and crannies where it doesn’t necessary have to be. 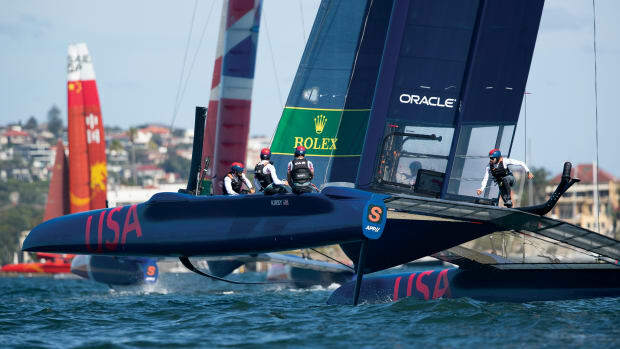 The two are joined using adhesive on an inward-turning hull flange, and the carbon mast is deck-stepped for easy stepping when trailering to regattas. 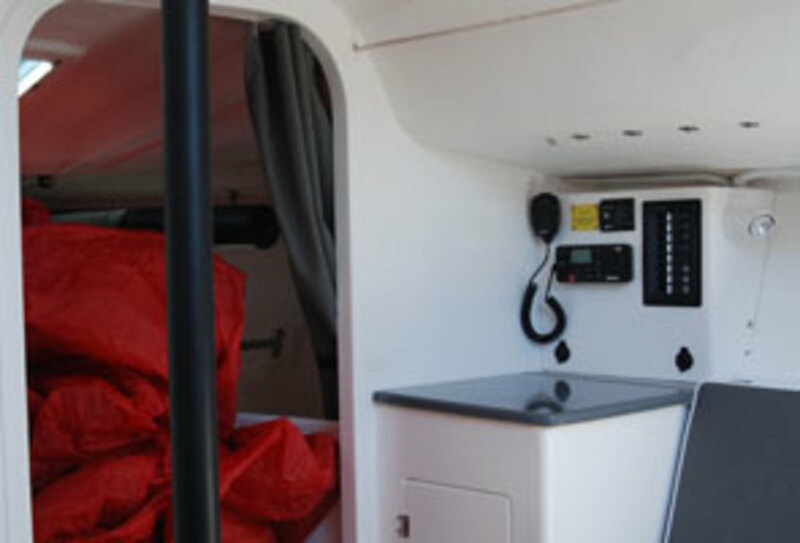 The retractable sprit is also carbon fiber, and the aluminum boom is high enough that the crew can get from one side of the boat to the other without having to worry about bashing their heads. All in all, another nicely built and nice-sailing little speedster that not only more than does justice to the J/29 it replaces, but does so with a personality all its own.